our main products are award ribbon rosettes, badges, fridge magnets, key chains, mirrors, lanyards and so on. with the high quality and excellent service, we have accumulated a praiseworthy reputation across europe, southeast asia and america. Custom Design in Suitable Price with High Quality square Lapel Pins customize metal badges Item Metal Badge Price 0.8 -3USD/pcs Size 1 inch Color gold Material zinc alloy Process casting Packing 1pc/PE bag, then 10pcs/big PE bag, as customer's required. Gold Plate over Metal / Enamel - 1" H with Butterfly Style Pin Back Comes Carded - Perfect for Gift Giving Manufactured by a Catholic owned and operated company with a heritage rich in tradition and a commitment to offering the finest selection of religious products. because of the quality problem, remake or a full refund. 2. Our employees have long experience in foreign trade. 4. Diversification of product range. 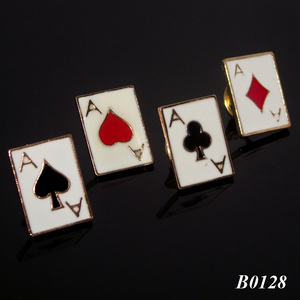 Alibaba.com offers 11,743 custom badge square products. About 53% of these are badges, 29% are metal crafts, and 1% are other gifts & crafts. 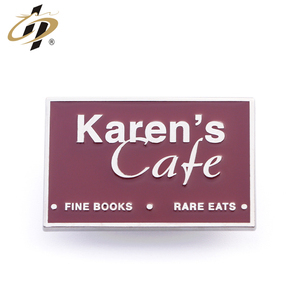 A wide variety of custom badge square options are available to you, such as 3d, nickel-free, and magnetic. You can also choose from printed, plating, and embroidered. As well as from metal, plastic, and fabric. And whether custom badge square is pin on, button on, or sew-on. There are 11,743 custom badge square suppliers, mainly located in Asia. The top supplying country is China (Mainland), which supply 100% of custom badge square respectively. Custom badge square products are most popular in North America, Western Europe, and Eastern Europe. You can ensure product safety by selecting from certified suppliers, including 1,831 with Other, 769 with ISO9001, and 263 with ISO14001 certification.